Here are writings to frighten the wits out of you, tickle your funny bone and soothe your Soul. In the 1950s the US Army conducted mind-altering drug experiments on thirty soldiers, causing them to have out-of-body experiences (OOBE). Unfortunately, the soldiers found themselves thrust into a spectacular world of horrible, other worldly entities who sought to possess human bodies so they could bring about anarchy and death. OOBERS: KALAMAZOO chronicles the plight of the last two remaining soldiers – called OOBERS – fifty years after the initial event, and two adult children of original Oobers who gained these abilities as well. These four survivors find themselves in Kalamazoo, Michigan, fighting for their lives as a powerfully evil force from the past is unleashed, threatening to destroy not only the remaining OOBERS but the very fabric of reality. OOBERS: KALAMAZOO is the first in an exciting series that explores a dimension of creatures that manipulates our world in ways both terrifying and thrilling. This is not for the weak at heart; OOBERS: KALAMAZOO takes horror and science fiction to a disturbing new level. 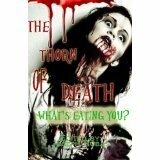 A brilliant collection of short zombie stories by some of the most talented writers today. A must-have in your horror library! 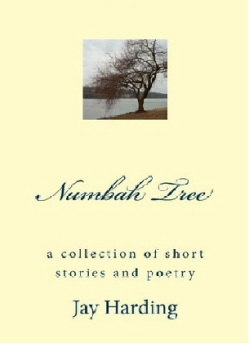 Includes "Sanctuary" by Jay T Harding.